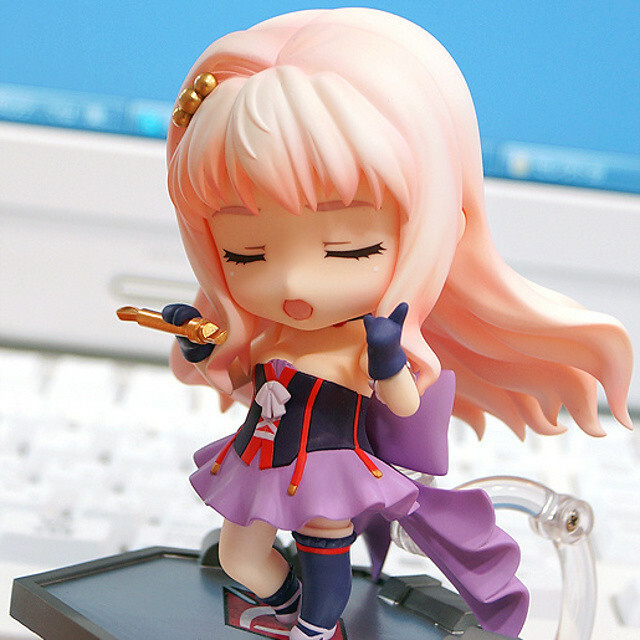 Macross Frontier‘s Nendoroid Sheryl Nome made her debut back then on the recent Winter WonFes, when she was still displayed as uncolored prototype. Fast-forward to today, and she has already undergone Mikatan’s preview treatment and ready to be pre-ordered tomorrow. So … what do she have for us? 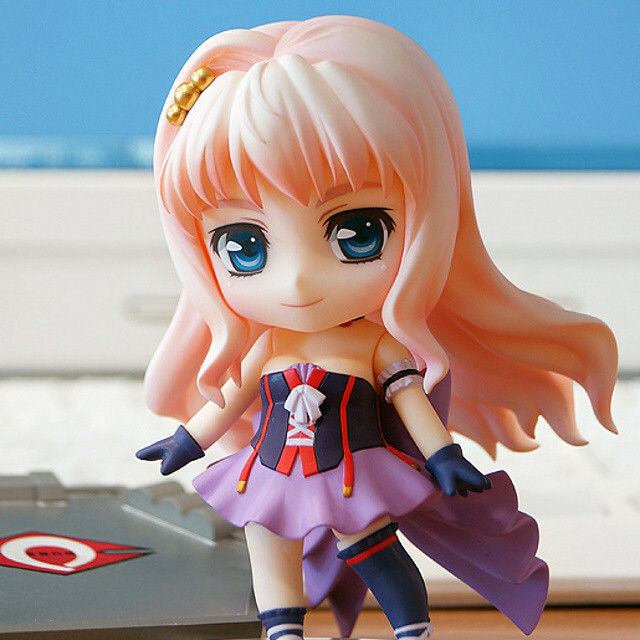 Her costume is based from one of the opening themes in Macross Frontier as seen in the final episode as well. This shouting … or rather, singing face is one of the optional expression that she will bring along. 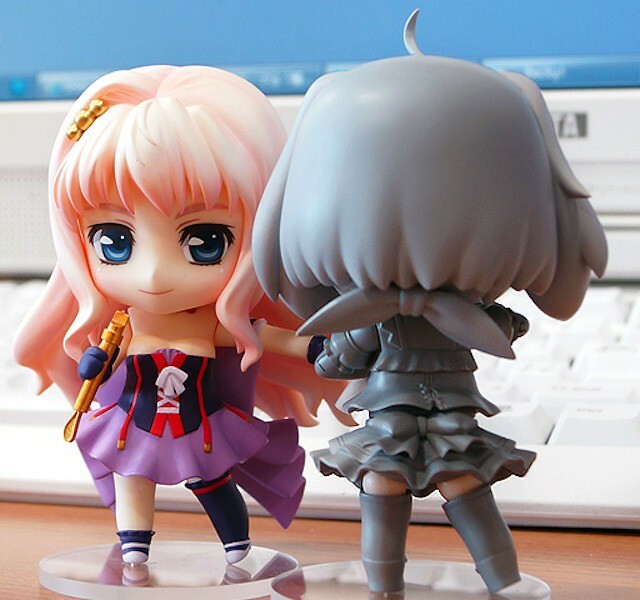 … and it seems that Nendoroid Ranka Lee will also tag along shortly. 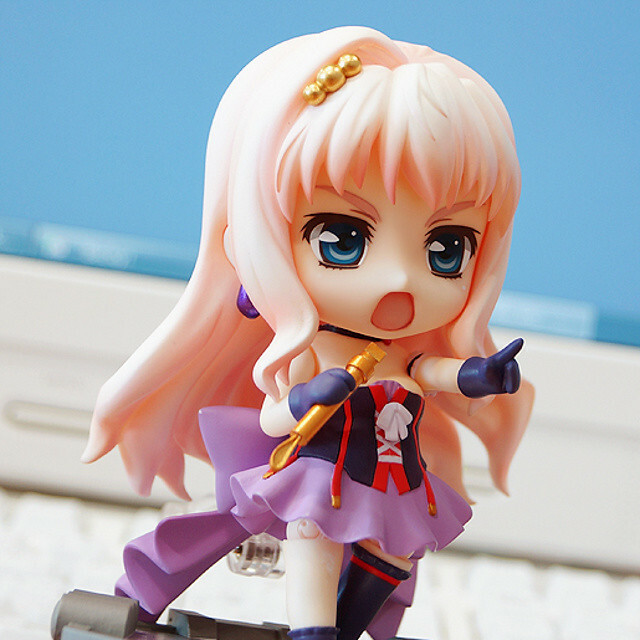 This entry was posted in News and tagged macross frontier, nendoroid, sheryl nome. Hmmhmmhm, she looks rather expensive..